1. Build trust with your customers. Video is a great way to introduce yourself to customers. It allows you to put a face and a personality behind your brand, showing both current and potential clients who they are working with. Building trusting relationships with your customers is an investment that pays off in the long term. According to the Concerto Marketing Group and Research Now survey, 83 percent of customers recommend a trusted company to others, and 82 percent will stay loyal to that brand. While you still have to be good at what you do, building trust can help you grow your business and keep clients for the long haul. If your goal is to increase your reach on social media, video may be your answer. According to The Content Marketing Institute, followers are 10 times more likely to embed, share, comment, or otherwise engage with video more than any other content. This is a great opportunity to introduce your brand to prospective customers and increase general brand awareness. Facebook videos now autoplay, a feature that is far more likely to grab the attention of someone scrolling through their feed. 85 percent of Facebook video is watched without sound, which, coupled with ADA compliance, makes closed captioning vital. Not only does it allow users to watch your videos without sound, it also ensures that people with hearing disabilities can enjoy your content too. Here is an example of our vlog series encouraging viewer interaction. 3. Boost your search engine rankings. Google owns YouTube, so embedding video on your website can significantly affect your search engine rankings. Your site is 53 times more likely to show up on the first page of Google if you have embedded videos. But that’s not all: Videos are an easy way to increase time spent on your site; which shows Google that your content is relevant, resulting in a higher ranking. 4. It has great ROI. Yes, I know, video can be expensive to produce. However, when you look at the data, you can see why leading companies are investing more and more into video content each year. In fact, 51 percent of marketing professionals worldwide cite video content as having the highest ROI. Conversion rates increased by 80 percent when a landing page included video, and marketers experienced 49 percent faster revenue growth than non-video strategies. Those are big numbers and people are taking notice. 5. It’s what the people want. Video is already the most viewed content on the internet. 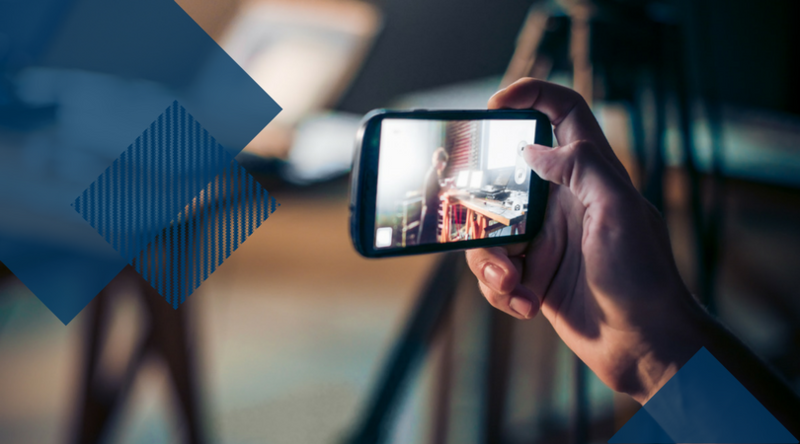 By 2018, Cisco predicts that 69 percent of total Internet traffic will be video. In an infographic by Animoto, we see that four times as many consumers would rather watch a video about a product than read about it. One in four consumers actually loses interest in a company if it doesn’t have video. But video content doesn’t just benefit your website. Your email campaigns will profit as well. Users are 50 percent more likely to read email newsletters with video links, and 19 percent more likely to open an email that contains “video” in the subject line. Check out this example of a video that supported our rebrand launch campaign. So, a picture might be worth a thousand words, but video is worth $5.4 billion, annually (Cisco). You’ve heard that ‘Content is King’.” Well, looking at the facts, it seems that video marketing is the king of kings in 2017.